Jess the curious cat shows you round Greendale Farm in this charming sticker book. Complete picture scenes and answer fun questions as you meet all the farmyard friends! Twelve vivid scenes and four pages of stickers offer hours of creative play for young fans of the TV show. 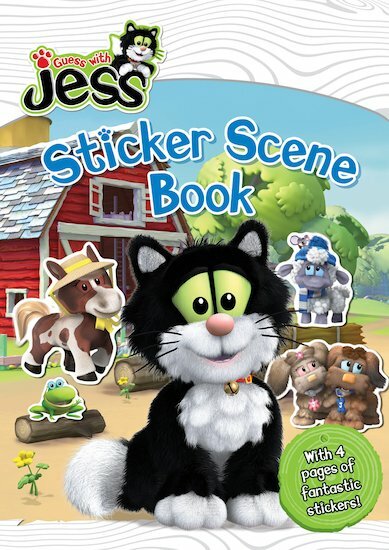 Learn what happens on the farm, meet the animals who live there, and explore the world of Jess the distinctive black-and-white cat!